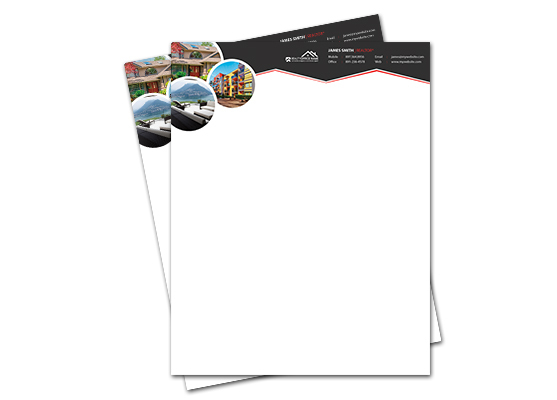 Real Estate Letterheads 100% customizable templates to suit your specific needs. 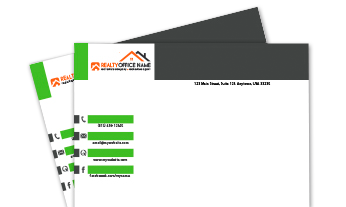 All Realty Letterheads can be customized with your logo, text, photos and contact information. 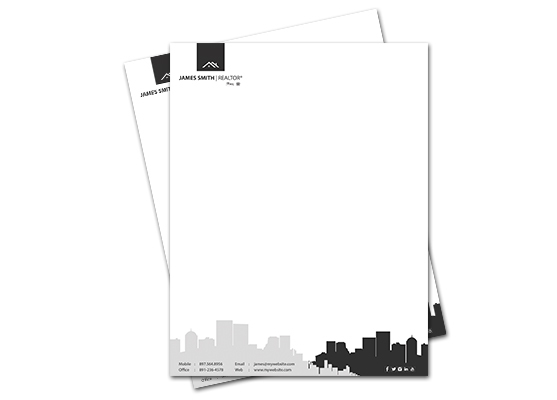 Pick a professional and modern letterhead design from our gallery. 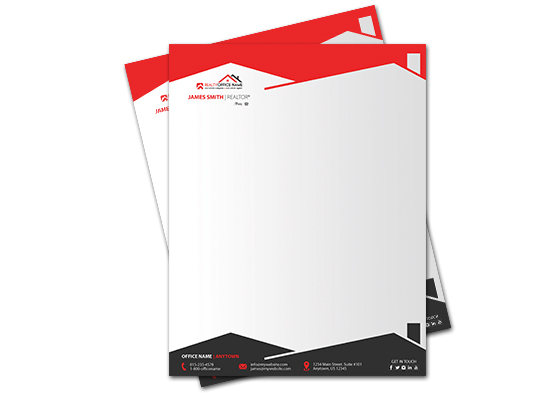 Your new letterheads are printed quickly & shipped to your door. High-quality, full-color offset and digital stationery and letterhead printing available on 70lb. Offset Opaque Smooth White. Laser and InkJet compatible. Full page size. 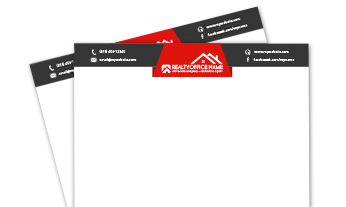 Place an order – Once you place an order, we will design your Realty Letterheads, according to the information provided, within 1 business day Monday to Friday. Excluding holidays. 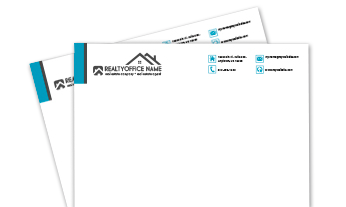 Real Estate Letterheads from Realty Studio Design are the best dollar value for quality advertising for Realtors, Agents and Offices. 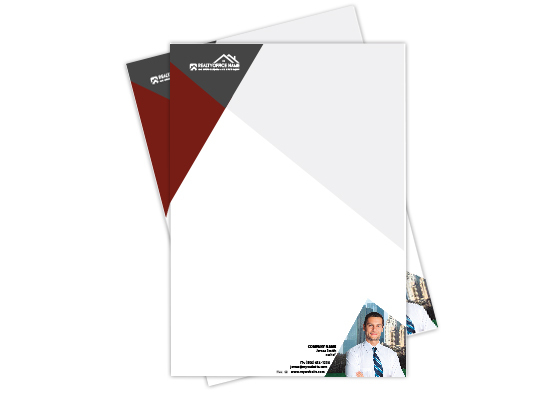 We offer a huge variety of new and innovative Real Estate Agent Letterheads, Real Estate Office Letterheads, Realtor Letterheads and Real Estate Broker Letterheads with a unique look and feel that will help you reach more clients and separate you from the competition. We provide full-color Real Estate Letterhead Printing Services with fast Turnaround Times, and the most competitive pricing available including Letterhead Economy Packages. 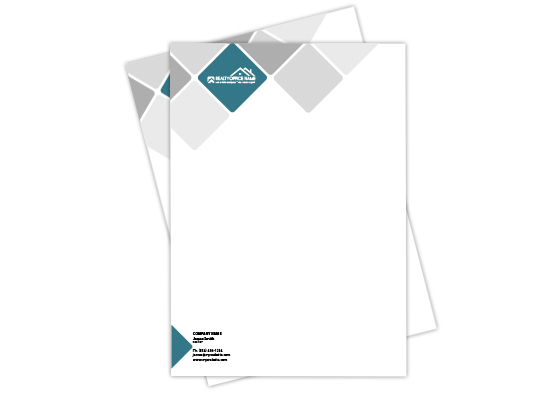 Make an impact on your customers with our free Letterhead Samples and Galleries fully customizable to suit your needs. 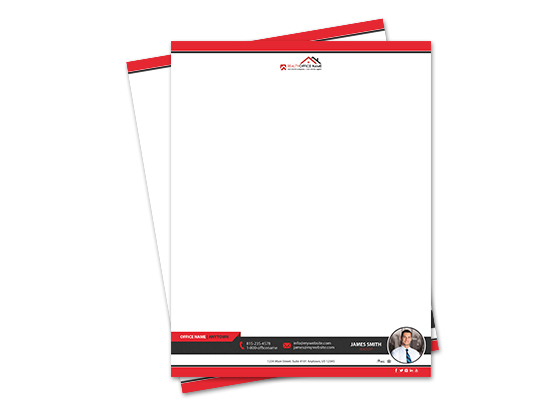 Our Custom Real Estate Letterheads Are Specifically Targeted For The Real Estate Market and Custom Tailored To Your Specific Business Needs. 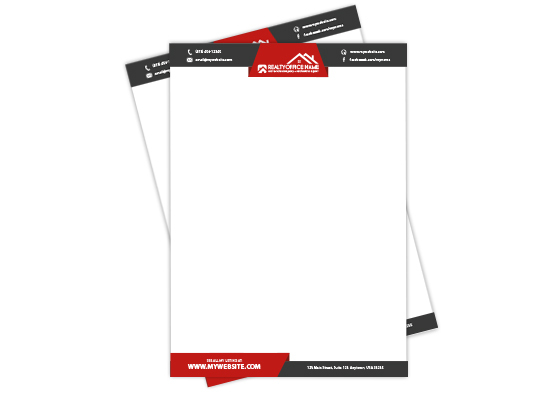 At realtystudiodesign.com you can save time and money with our Realty Letterheads Custom Design service tailored to your budget. You will be teamed with a dedicated graphic designer who will work hand in hand with you to create your own Realty Letterhead idea within a few hours. Request a quote today. 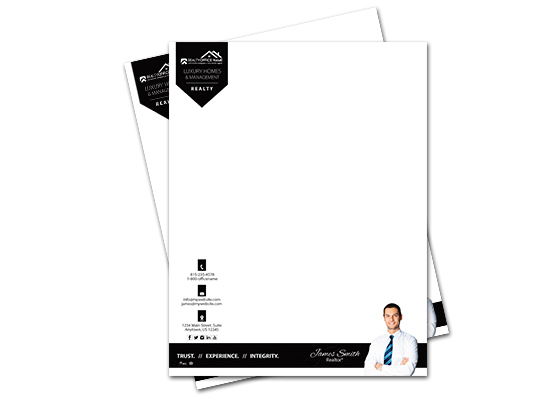 Real Estate Agent Letterheads, Real Estate Office Letterheads, Realtor Letterheads and Real Estate Broker Letterheads. 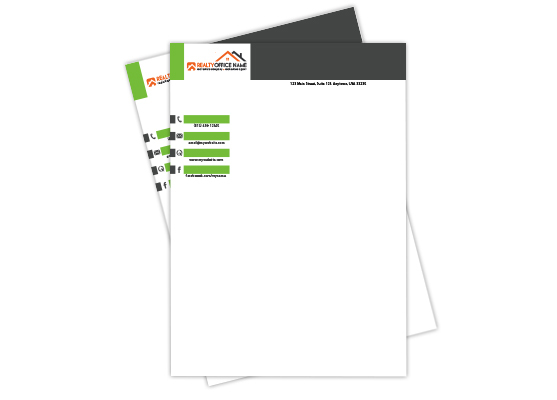 We provide comprehensive Letterhead galleries, examples, designs, printing and marketing solutions for all Real Estate offices. 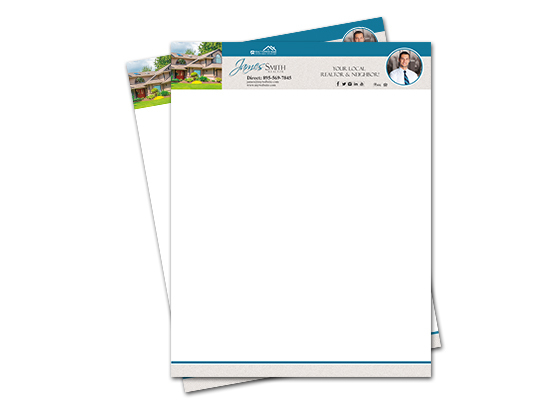 We’ll provide the best custom Real Estate Agent Letterheads, Real Estate Office Letterheads, Realtor Letterheads and Real Estate Broker Letterheads solution available to best fit your unique needs. 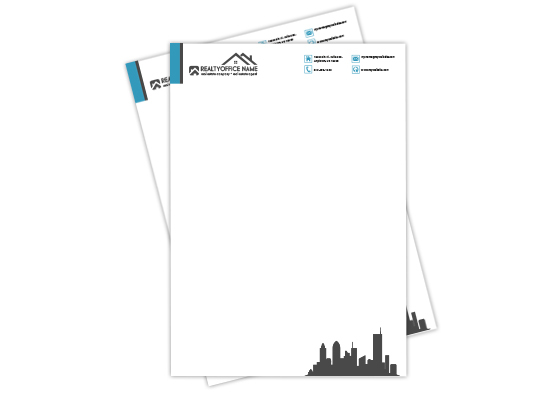 New and innovative Real Estate Letterheads, custom design and printing services for realtors, agents and offices. GET STARTED TODAY! 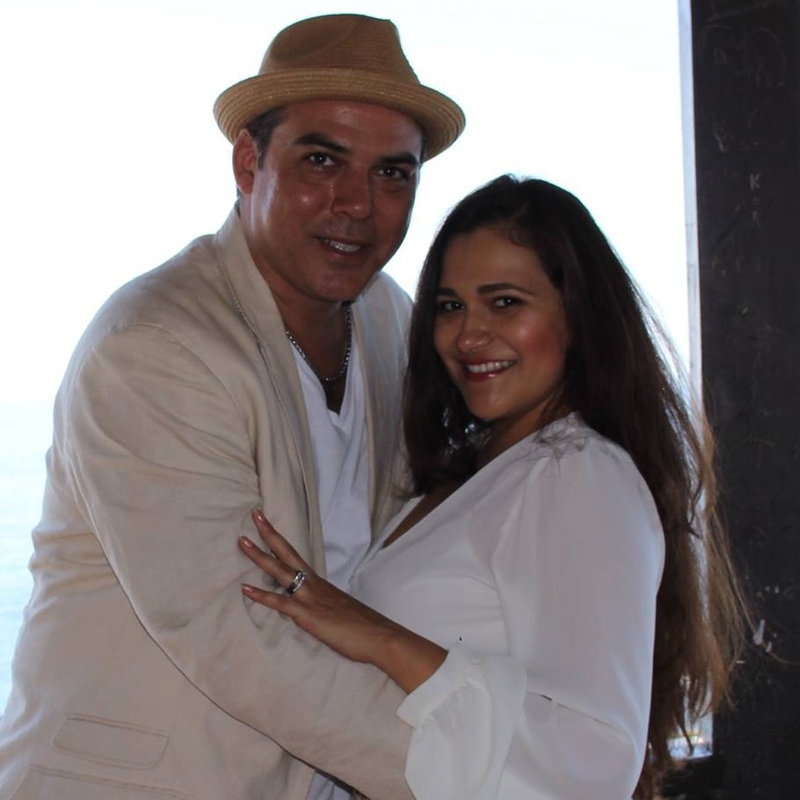 Realty Studio Design has always provided fast, reliable, and enthusiastic service to our customers during the design process, print production and follow-on support. For more information about our Real Estate Products or Real Estate Letterhead Promo Codes, please Contact us online and we will be glad to help you. 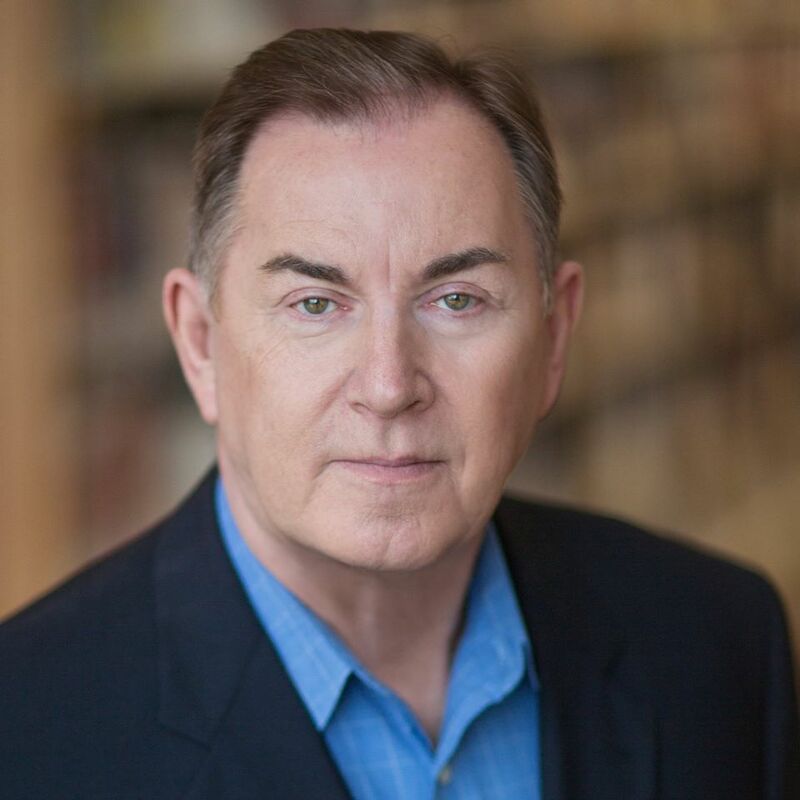 Visit us regularly to follow our Real Estate News section and stay up-to-date with new Real Estate Letterhead Templates, services and promos!